Selling excess inventory can be a time-consuming, and unproductive task -- why not put USBid's experience and expertise to work? With more than 700,000 registered buyers of electronic components from 200 countries, USBid's website is the global marketplace for electronic components. If product changes or unexpected end of life plans have resulted in the purchase of unneeded components, we can help. We offer three solutions: Consignment, Credit, or Cash. Submit your inventory file for a prompt review and reply. If you need to make room for new material in your warehouse and do not have the experience, resources, or time to sell excess inventory one part at a time, then a consignment program is a good solution. Many OEM sellers believe they can efficiently sell inventory on the Internet using the "post and pray" method and some are successful with this approach. However, most soon discover that things such as current spot market price information or quick responses to buyer inquiries or same-day shipments take additional time and resources away from other full-time duties, and the inventory takes much longer to sell than originally expected. The consignment program is simple. The seller ships the inventory (including a spreadsheet with all relevant SKU details) to USBid where it's inspected, counted, cataloged and stored prior to sale. USBid provides an audited accounting of the inventory to you and performs a fair market assessment of the inventory and assumes responsibility to set pricing based on this data. USBid promotes the inventory to the global electronic components marketplace, attracts buyers, assumes the credit risk, packs/ships the product and administers warranty claims. You are provided with Purchase Orders for all product sold and paid on N30 day terms. When you participate in this program, your parts are sold through our global marketplace at competitive market prices, and we split the revenue with you. If you need to recover as much of the original component cost as possible and need to do so quickly, USBid offers a program that provides top dollar for your inventory. With USBid's credit program, the seller is provided with aggressive, spot market cash value for the inventory in the form of a credit for use on future purchases. The value of this credit is typically 5X higher than the outright cash purchase price from other sources. Once the inventory has been received, inspected, and counted, a credit is issued for the negotiated amount and you are set up with Net 30 terms for future purchases. The credit can be used either way you choose - to reduce the per unit cost of purchased items from USBid, or as a lump sum against total orders. Once the credit has been established, it may be used to cover as much as 25% of any purchase. 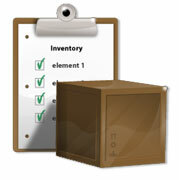 If you need to recover inventory costs immediately, we will pay cash for your inventory. We can quickly provide a bid to purchase your excess and eliminate future inventory carrying costs. Simply provide a list of available parts and USBid will make a cash offer. If you do not have a list, just give us a call and tell us what you have to sell. Once the offer is accepted, ship the inventory to USBid and you are paid, with no further liability for the product - condition of parts, warranty, date code, quantities, etc. -- are all handled by USBid.